Two police officers were killed in Palm Springs. They were killed doing a “routine” job of serving a warrant. Another officer was wounded and is recovering. The war on police continues, and though the stats don’t back it up, the war appears to be escalating. 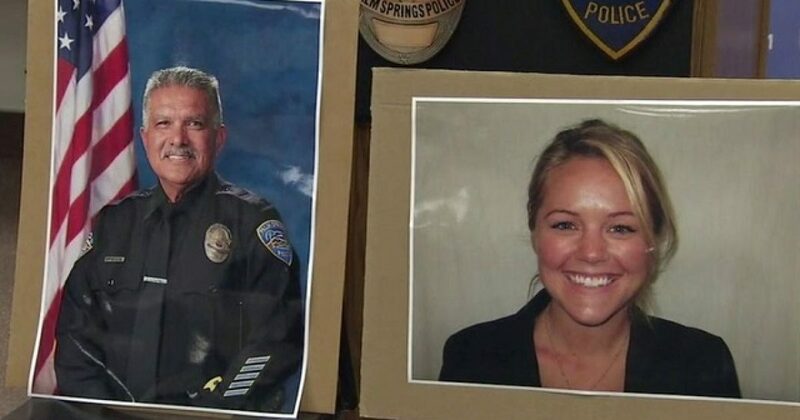 Two Palm Springs police officers died, and another was injured after they had responded to a family disturbance call Saturday that set off hours of panic in the desert resort town. The shooting occurred shortly after noon, when officers rushed to the house near the Palm Springs Country Club after a woman reported a problem with her adult son. Early Sunday, police arrested John Felix, 26, of Palm Springs, who was taken to a hospital for treatment of injuries that appeared to be not life-threatening. What most stories aren’t telling you is more about John Felix. First, his name is John Hernandez Felix, not John Felix. John Felix is a bit non-descript. John Hernandez Felix conjures something altogether different. For one thing, Hernandez denotes definitive Latino background. Felix might go unnoticed on the uninformed. Next, what you likely weren’t told in most media, Felix is a documented Gang member from Palm Springs, California. And his criminal record befits his affiliation. Felix was previously arrested as part of a failed murder plot in 2009, and sentenced to four years in prison. Felix and another suspect managed to shoot their target but he didn’t die. He was charged with attempted murder, discharging a firearm causing great bodily injury and association with a criminal street gang. Court records don’t provide details of the shooting, but they do show that Felix pleaded down to assault with a firearm and admitted his gang connection. He was given a two year prison sentence for the assault and an additional two years for his gang ties. His prison term expired in 2013. And not long after release, Felix was later arrested in 2013 for fighting with police on the same doorstep where the most recent shooting occurred. Felix represents the solid citizens that the Left want on the street. They will tell you that cops hunt minorities, and gloss over the real crimes that occur against law enforcement officers every day. The deaths of these brave men and women should be placed on the scrawny necks of Liberals.